Lifecake, an app that enables families to easily and privately share photos and videos, raised $1.1 million in seed funding. The round was led by Balderton Capital. ALOHA, a healthy lifestyle business, raised more than $4 million from First Round Capital, Highland Capital Partners, FF Angel, Khosla Ventures and Forerunner Ventures, as well as several angel investors, including David Gilboa. Diary.com, which allows users to make online scrapbooks, raised $1.2 million from a network of private investors. Payments platform Spreedly raised an additional $500,000 in seed funding from Emerge.be. Zula, a mobile collaboration app, raised an undisclosed amount of seed funding from Microsoft Ventures. Big data company Rubikloud Technologies closed over $1 million in seed-stage financing. The investors were Horizons Ventures, MaRS Investment Accelerator Fund, and private angel investors. Social game company Play It Gaming closed an oversubscribed seed round worth just over $700,000 from undisclosed investors. Locket, a platform for ads and content on Android lock screens, raised an undisclosed amount of funding from Fierce Capital. 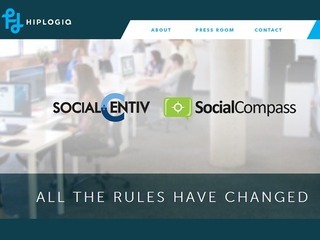 Social recruiting tool HiringSolved raised $1 million from a group of undisclosed private angel investors. Mobile shopping service Sift closed $2 million in a seed funding round led by DN Capital. Tandem Capital, Unity Ventures, Sand Hill Angels, Social Internet Fund, Future Perfect Ventures, Grey Corp and Omar Khan also participated. Wevorce, provider of an innovative technology platform and process to make every divorce amicable, raised a $1.7 million seed round from several investors including Foundation Capital and Sam Altman. Appear Here, an online marketplace for short-term retail space, closed a £1 million funding round from Howzat Partners, MMC Ventures, Forward Investment Partners, Meyer Bergman, Playfair Capital, Ballpark Ventures, Marc Hazan and Miroma Ventures. Language education start up Colingo launched with a $2.4 million round of funding led by Atlas Venture, 500 Startups, Morado Ventures, Crosslink Capital, Havoc Capital, Social Leverage participated, as did angel investors Ben Ling, Ted Rheingold and Chegg Founder Aayush Phumbhra. 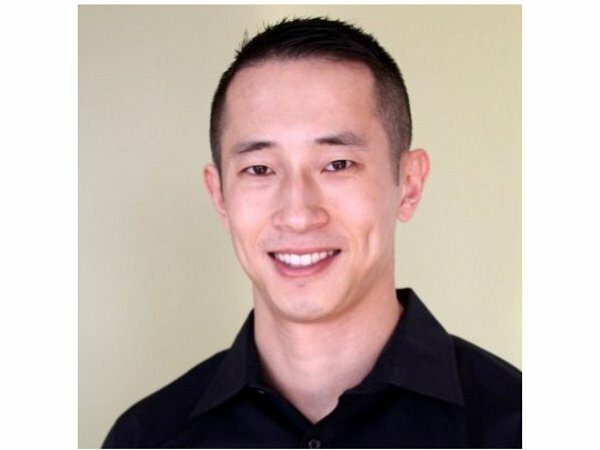 Fluential, developer of voice recognition technology, raised $8 million in angel funding led by Patrick Soon-Shiong. Multichannel, which manages and tracks marketing efforts across multiple channels, raised a $3 million seed round from angel investors in Europe and Asia. Friendshippr, an app that connects people to Facebook friends to help them ship packages, received $670,000 in seed funding from angel investors in Dubai. Niche, which connects brands with popular users on social media, raised $550,000 in funding from David Tisch, Michael Kassan, Chris Altchek, Bryan Goldberg, John Alderman, and friends and family. 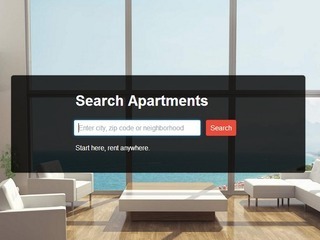 Apartment search engine Apartment List raised a $15 million round of Series A funding in a round led by Matrix Partners. 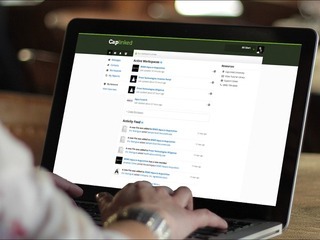 Deal management platform CapLinked raised a $1 million expansion round. The funding came from Subtraction Capital, FF Angel, 500 Startups, and other investors. Illuminate Ventures raised a new micro VC fund of $20 million. This is Illuminate's second fund. Shake, a mobile-focused legal startup, received $3 million in Series A financing. SoftBank Capital led the round, while RRE Ventures, BoxGroup, ENIAC Ventures, Mesa+, WGI Group and Patrick Keane also participated. Television advertising solutions company clypd raised an additional $7.25 million in Series A-1 financing, led by Atlas Venture. Other investors include Data Point Capital, Freestyle Capital, Transmedia Capital, Tribeca Venture Partners and Boston Seed Capital. Financeit, which provides small businesses with a consumer financing platform, raised $13 million from TTV Capital, Inter-Atlantic Group and Second City Capital. August, the home automation company behind the August Smart Lock, raised $8 million in Series A funding led by Maveron, with participation from Cowboy Ventures, Industry Ventures, Rho Ventures, and SoftTech VC. Index, a personalization and analytics company, raised $7 million in a Series A round led by Innovation Endeavors, Khosla Ventures, AIMCo and 819 Capital. Kabbee, a price comparison service for London’s minicabs, raised a £3.8 million Series A funding round led by Octopus Investments, with Simon Nixon also participating. Offline affiliate network Yub launched with $12 million in funding from Atomico, Battery Ventures, DAG Ventures, DFJ Growth, Greylock Partners, Index Ventures, T. Rowe Price, QuestMark Partners and Visa Inc.
Mojave Networks, a provider of cloud-based mobile security for enterprises, closed a $5 million round of funding led by Bessemer Venture Partners with participation from Sequoia Capital. Mobile ad retargeting startup TapCommerce raised $10 million in Series A funding. The round was led by Bain Capital Ventures and RRE Ventures, with a strategic investment from Nielsen Ventures and participation from Metamorphic Ventures, Eniac Ventures, and Nextview Ventures. Local search platform Locality, formerly known as Centzy, closed $4.3 million in Series A funding, led by Matrix Partners. CoachUp, which helps connect athletes with private coaches, raised $6.7 million in Series A funding co-led by Point Judith Capital and General Catalyst Partners. Breakaway Ventures, Data Point Capital, Suffolk Equity Partners and individual investors, including Paul English and Albert Dobron also participated. Browser security company Quarri raised $2.35 million in a round led by Wild Basin with participation from the Texas Halo Fund, Daylight Partners, and unnamed existing investors. Social shopping app The Hunt raised $5.5 million in its first funding round. The round was led by Javelin. Atomico Ventures raised a $476 million fund. 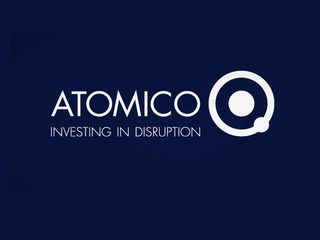 This is the firm's third fund, and it is to be known as Atomico III. 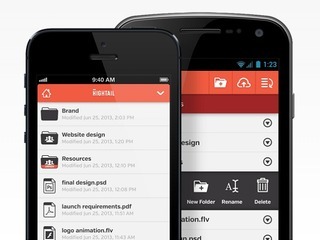 Hightail, which used to be known as YouSendIt, raised $34 million in Series E funding. The round was led by Western Digital Capital, with Accolade Partners, Alloy Ventures, Sevin Rosen, Emergence Capital, Adams Street Partners and Sigma Partners also participating. Twitter marketing company HipLogiq raised $7 million in Series B funding from Hadron Global Partners. Apprenda, an enterprise Platform as-a-Service, raised a $16 million Series C financing round led by Safeguard Scientifics, with participation from Ignition Partners and New Enterprise Associates. Open hardware startup littleBits raised a $11.1 million funding round led by True Ventures and Foundry Group. Two Sigma Ventures, Vegas Tech Fund, Khosla Ventures, Mena Ventures, Neoteny Labs, O'Reilly AlphaTech, Lerer Ventures and angel investors Joanne Wilson, Nicholas Negroponte, Jeffrey Walker, Jun Makihara, Jay Dvivedi, and Mohamed Nanabhay, also participated. Signpost, a cloud platform for small and medium-sized businesses, raised an additional $10 million in Series B funding from OpenView Venture Partners, Spark Capital, Scout Ventures, and Jack Herrick. Black car service LeCab raised $6.8 million in Series B funding from undisclosed investors. Plain Vanilla Games, developer of the social trivia platform QuizUp, raised $2 million in funding from Sequoia Capital and eVentures. Aria Systems, a cloud-based recurring revenue management provider, raised $40 million in a round led by Bain Capital Ventures. Hummer Winblad Venture Partners, InterWest Partners, Tugboat Ventures, Venrock and VMware also participated. SimpliVity Corporation, a provider of globally federated hyperconverged IT infrastructure, raised $58 million in Series C funding co-led by Kleiner Perkins Caufield & Byers Growth and DFJ Growth. Meritech Capital Partners, Swisscom Ventures, Accel and Charles River Ventures also participated. Compass-EOS, a next-generation routing company, closed a $42 Million round of financing from Comcast Ventures, Cisco, Pitango Venture Capital, Benchmark Capital, Northbridge Venture Partners, Marker LLC, Private Equity Fund and RUSNANO. Talari Networks, a provider of network reliability and business continuity solutions, secured a $15 million Series D round from Four Rivers Group. Menlo Ventures and Silver Creek Ventures also participated. 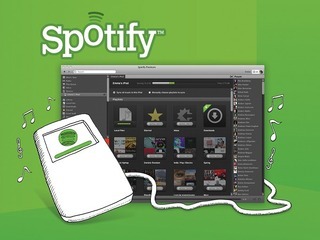 Music streaming service Spotify raised $250 million in a round led by Technology Crossover Ventures. Alpine Data Labs, a code-free solution for Advanced Analytics for Big Data and Hadoop, closed a $16 million Series B round from Sierra Ventures, Mission Ventures, UMC Capital and Robert Bosch Venture Capital. Xenex Disinfection Services, a provider of a UV room disinfection system for healthcare facilities, secured $11.3 million in funding from Battery Ventures, Targeted Technology Fund II and existing investors including RK Ventures. Talentory.com, an online headhunting platform, closed a $ 1.7 million Series B round of funding from RITF. Massive open online course platform Coursera added $20 million to its Series B round. The funding came from three universities that offer courses on Coursera, as well as GSV Capital and Learn Capital. Sift instantly captures your e-commerce fingerprint through your email and magically turns the content there into a fun, personalized browsing app on the tablet. We are a marketing technology company whose mission is to improve on traditional methods of doing business by creating products and services designed for the way the empowered consumer lives today. 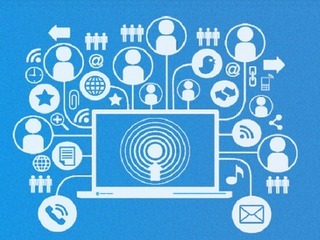 We do this by fundamentally changing how businesses and brands reach and engage with people. Our powerful, patented social marketing software – SocialCompass and SocialCentiv – recreates 1-to-1 marketing on a mass scale to help businesses of all sizes actively reach, engage and reward consumers based on their expressed need for a product or service, the time of day and location. Centzy is comparison shopping for local services. It's hard to find prices for local services (such as spas, massage parlors, hair salons, doctors, dentists, and plumbers) online. Thus, potential customers are frustrated because they waste time calling local businesses for prices, they waste money because they end up buying without knowing all their options, and they often worry that they're getting ripped off. Centzy solves these problems by gathering accurate, comprehensive prices for local services through a proprietary process and putting them online, saving you time and money and letting you buy from local businesses with confidence. On Centzy, you can search, browse, and compare prices for all the local services providers in your area on one website. CapLinked is a cloud-based enterprise platform that accelerates the execution of sophisticated business transactions. CapLinked is used by companies for managing mergers, financings, asset sales, investor reporting, and due diligence. The company was founded in 2010 by Eric M. Jackson (PayPal's first head of U.S. marketing and author of the award-winning book The PayPal Wars) and Christopher Grey (former senior private equity executive and managing director at a subsidiary of Emigrant Bank). Its investors include FF Angel, Subtraction Capital, 500 Startups, Hercules Growth Fund, and Peter Thiel (the cofounder of PayPal). The Wall Street Journal called CapLinked “the go-to place for setting up and closing deals,” and Inc. named CapLinked to its list of “5 Back-Office Tech Innovations.” The company is based in Los Angeles. Founded in 2004, Hightail was working in the cloud before the term was even coined. At first the service was a simple way to send the large attachments that email couldn’t process, but has since grown to offer robust online sharing, storage and file management capabilities. Today, the company serves more than 40 million registered users across 193 countries and 98 percent of the Fortune 500. 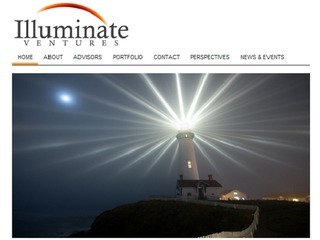 Illuminate Ventrues is a Micro VC focused onEnterprise/ B2B cloud and mobile computing. Our team is made up of experienced investors with significant operating and investment track records, complemented by a world-class Business Advisory Council. We invest in US-based high growth, capital efficient companies, typically as the first institutional investor. Specific areas of interest include cloud computing, SaaS applications, Big Data , enterprise mobile, IIoT. Our portfolio includes game changing business solutions from companies like Bedrock Analytics, BrifhtEdge, Influitive, Yozio, Peerlyst, ChannelEyes and LitBit. Our recent exits include companies like Xactly (IPO), Opsmatic (acquired by New Relic), Sense Platform (acquired by Cloudera) and SimOPs Studios (acquired by Autodesk). Illuminate Ventures is different - we don't rely on "pattern recognition" or following the herd. We seek new and innovative business ideas led by committed, talented teams. We recognize that great investment opportunities come in a variety of packages - sometimes looking a bit different from the norm. Illuminate works closely with founders to support them in building truly great companies and teams. We've been there ourselves and know that teams made up of individuals with diverse backgrounds and skills deliver innovative thinking with outstanding results. Spreedly handles everything a subscription business needs to make money - initial signup, upgrades, cancellations, etc. - so you can build your business and not a billing system. We are entrepreneurs with a global perspective who invest in passionate entrepreneurs with disruptive, powerful ideas. Through our experience building Skype, Joost and Kazaa, we understand the value of game-changing business models and have created a worldwide network to help accelerate the growth of the companies in which we invest.